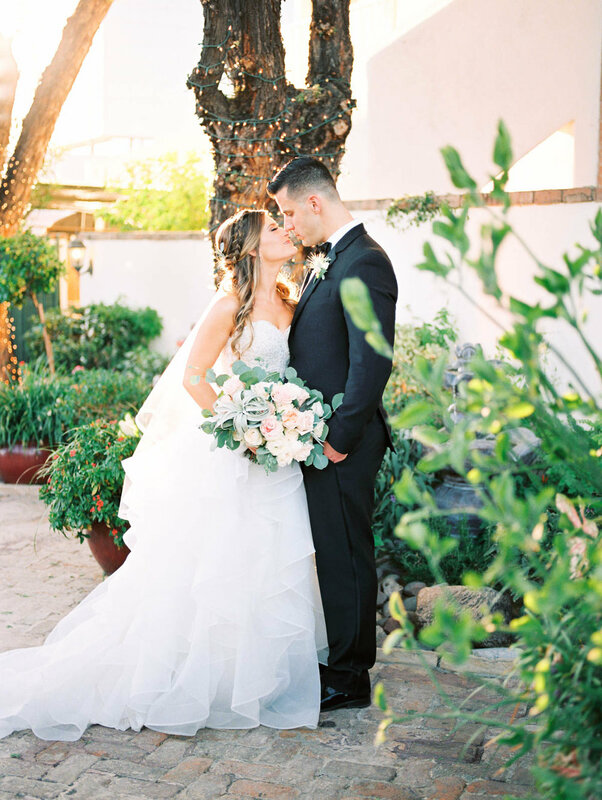 Jamie & Mike got married on a beautiful sunny day at the Stillwell House in Tucson, Arizona. 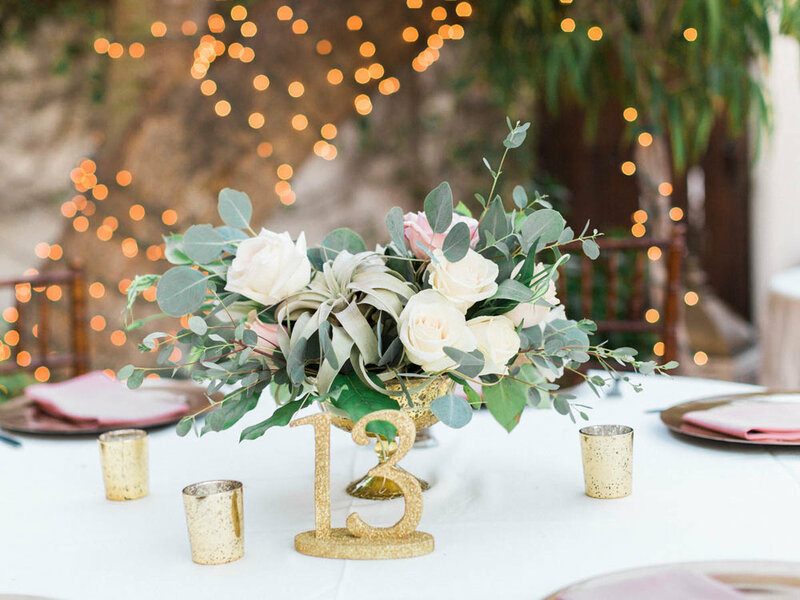 With the help of Crain & Co, they threw an intimate, elegant bash that none of their guests will soon forget! Mike & Jamie are a perfect pair. 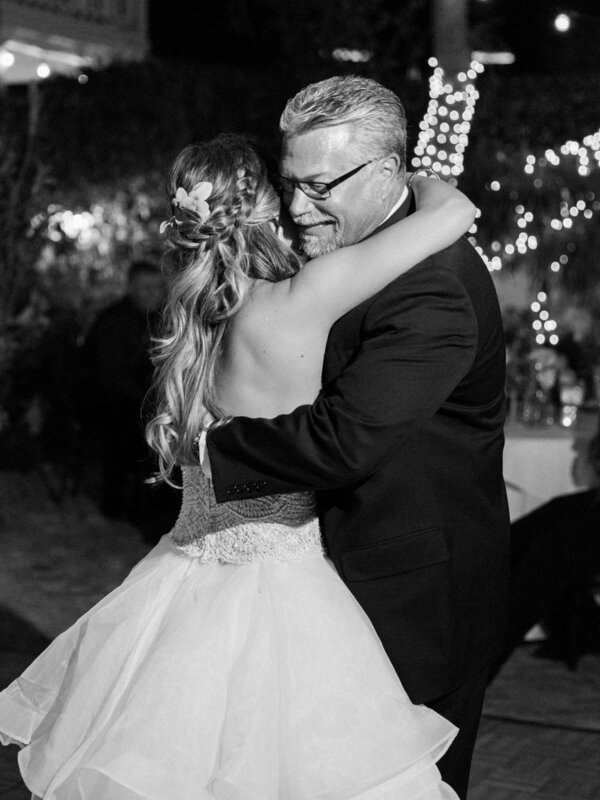 Mike is a strong and silent type, but he couldn't hold back the tears when he saw his beautiful bride for the first time on their wedding day. Jamie was lovely and joyful the entire day. Even when the sprinklers went off in the middle of bride & groom portraits, these two took it with ease (special thanks to our awesome assistant Nathanael for his ninja skills that kept Jamie from getting wet)! 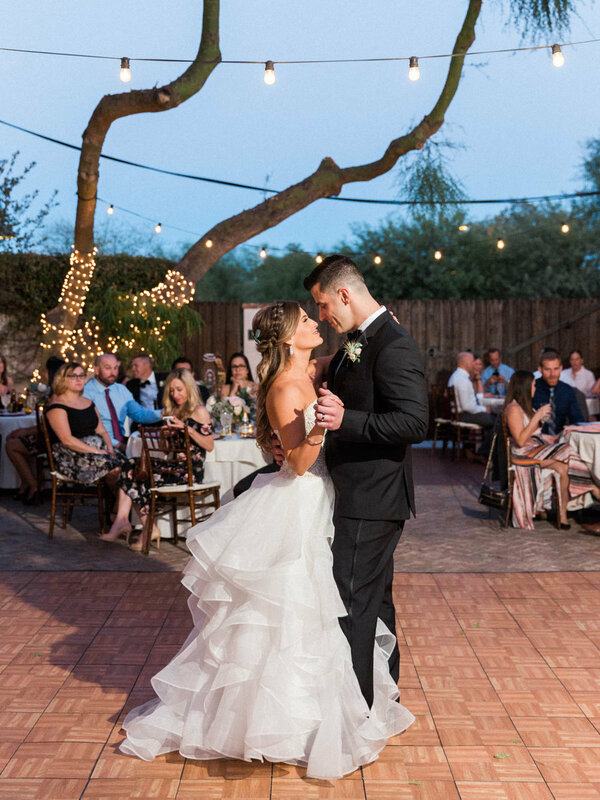 Their ceremony took place in the intimate garden type setting of Stillwell House in downtown Tucson, followed by dinner under the stars. 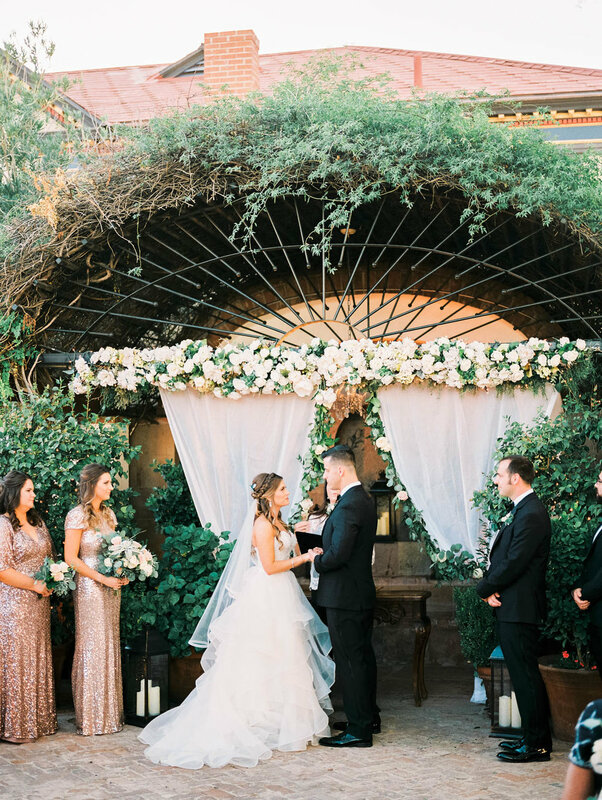 From Jamie's gorgeous gown, to the stunning florals, every detail was absolutely perfect. It was a magical day and we were so honored to have been a part of it! A special thanks so all the wonderful vendors who made all these beautiful details come together. 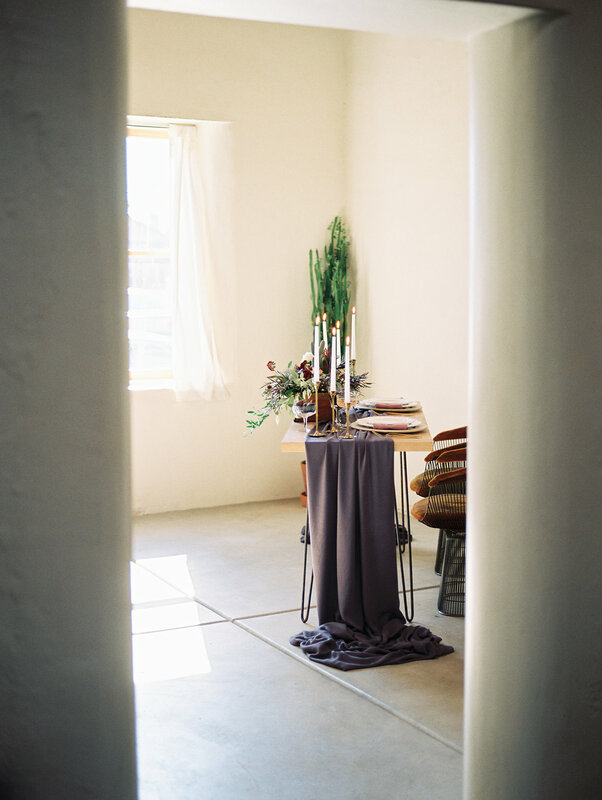 Planning & coordination: Crain & Co.
We love styled shoots and this one is pretty special to us. 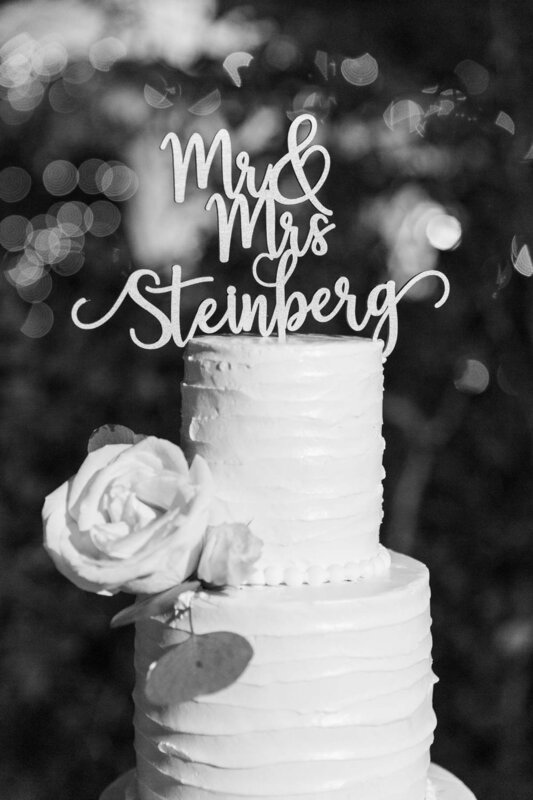 These shoots create unique experiences to connect with wedding vendor friends and allows each person involved to put their creativity and talents to use. If you've been following us for the last year, you might have noticed that we've been shooting with film a lot lately. 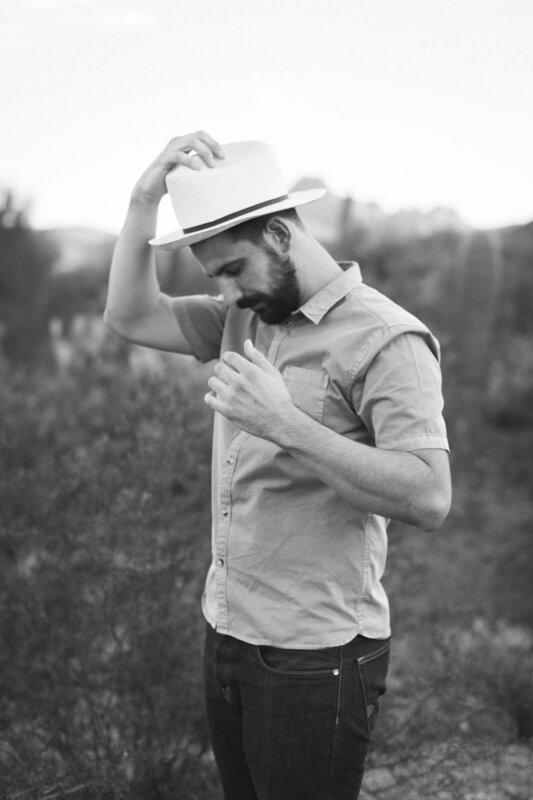 It's completely stolen our hearts and sparked a new passion for photography. 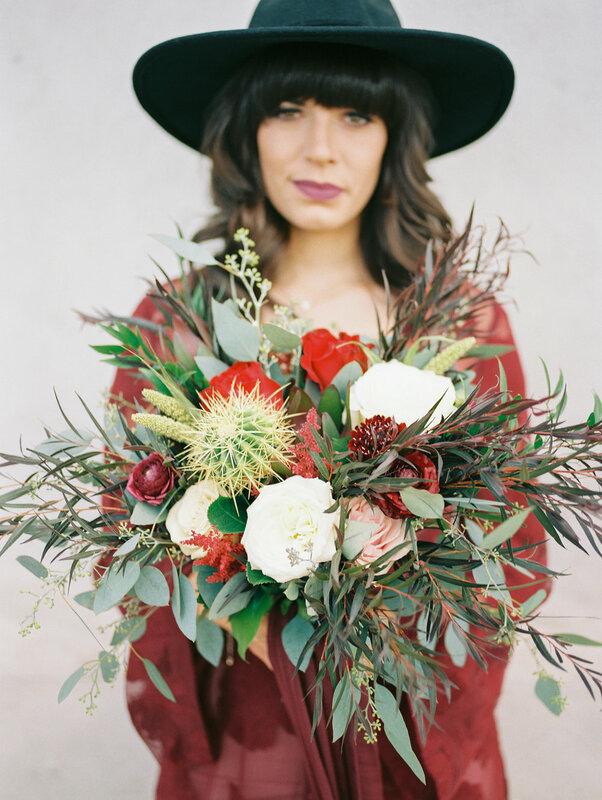 This shoot is almost all film and it's safe to say that we're thrilled with the results! 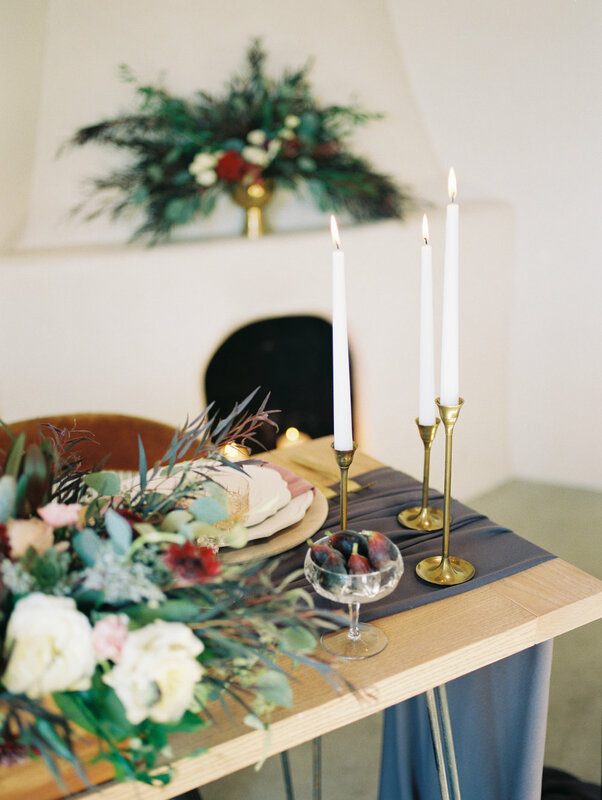 An added blessing is that this shoot was featured on Ruffled blog yesterday! Check it out, here. 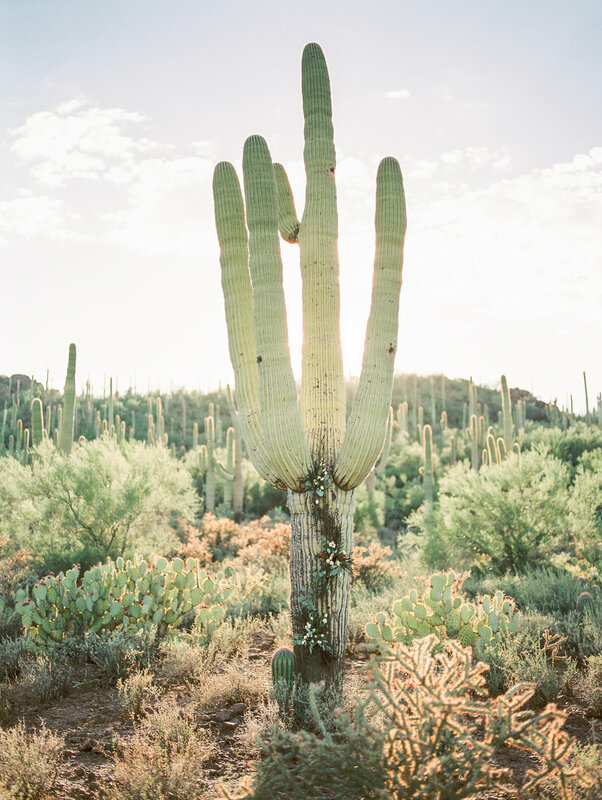 We love the desert and it's no secret that it's so on trend right now. 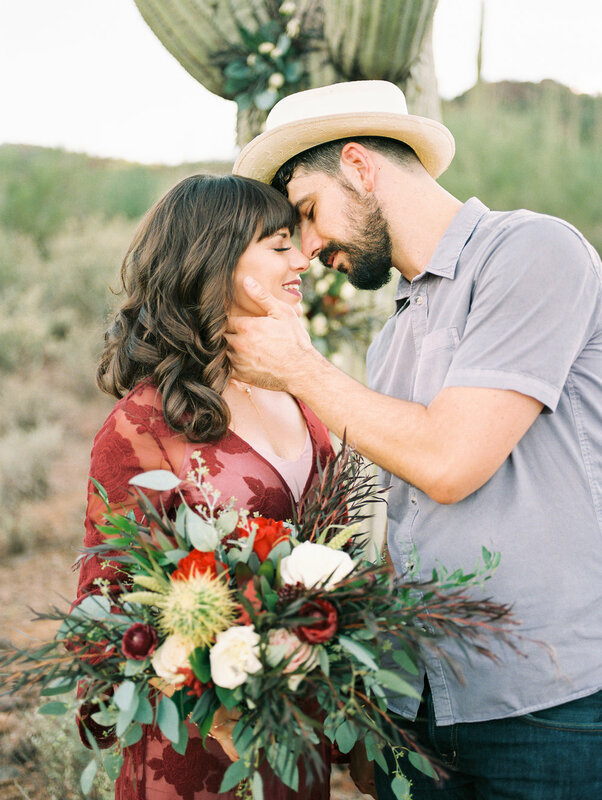 For this shoot, we wanted to inspire couple's eloping to consider the desert as their fall "I do" destination. What the desert lacks in red and orange falling leaves, it makes up for in stunning views, unique landscapes and fantastic fall weather. Basically, the perfect place to elope and spend a few days soaking up the sun with your new hubby or wife by your side. 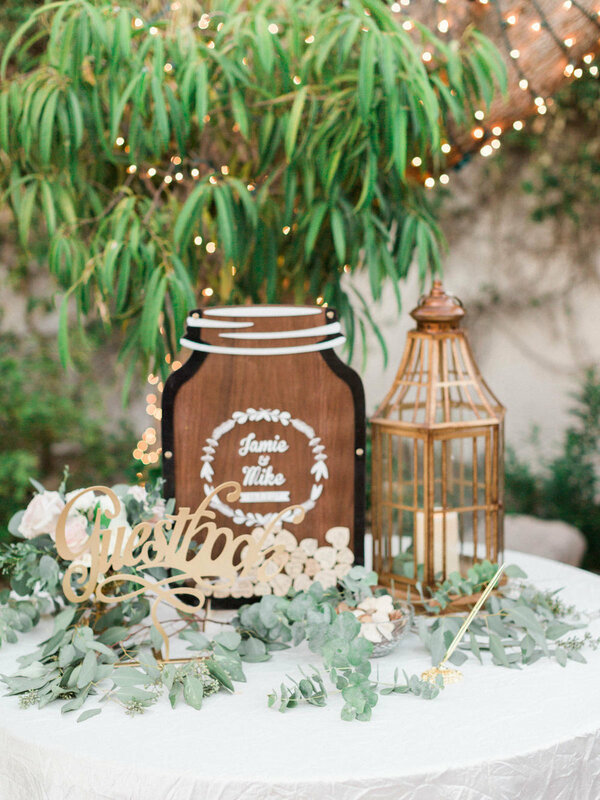 While we love gorgeous white dresses and lavish wedding details, we wanted to inspire couples who want to plan a meaningful, low-key, but hip wedding day. 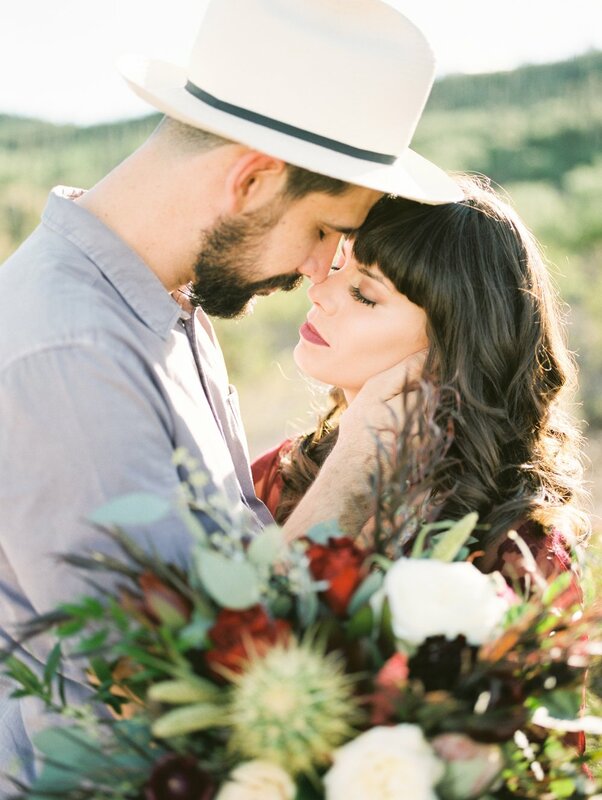 We thought of the girl who had always dreamed of wearing something unique on her wedding day, so this bride donned a stunning lace burgundy dress while her laid back groom sports his favorite jeans and hat. 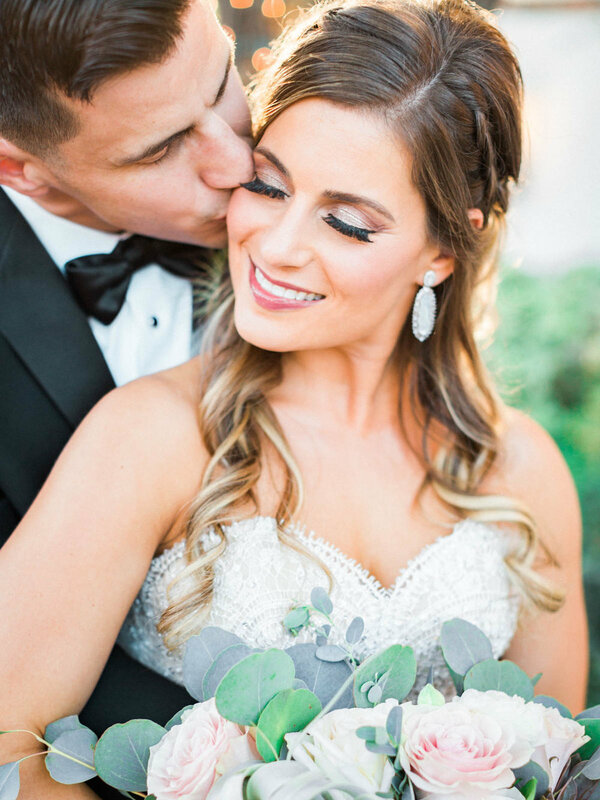 Rachel of The Powder Room Bridal created a stunning look for our bride with a natural look paired with a pop of fall color on her lips. 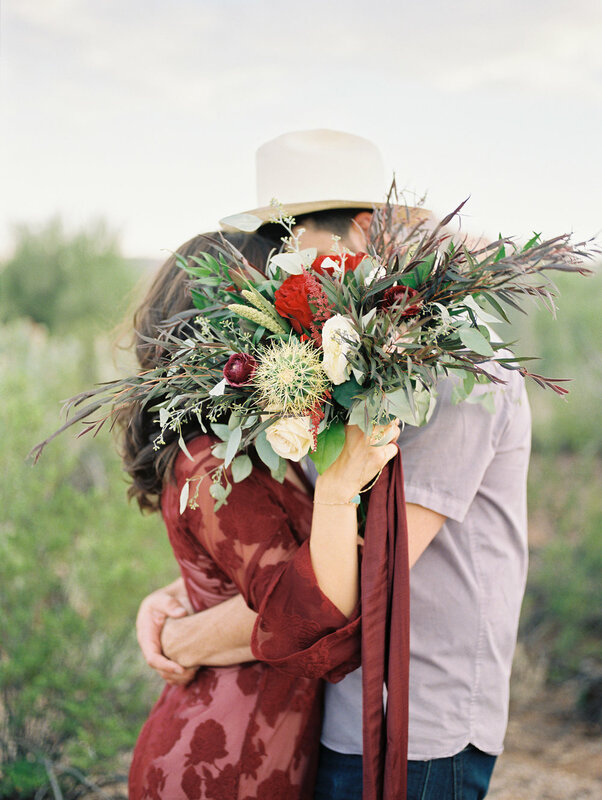 Incredible designs by Alexis Grace Florals brought a little romance to the desert scene and tied in those gorgeous fall colors with a southwest twist. 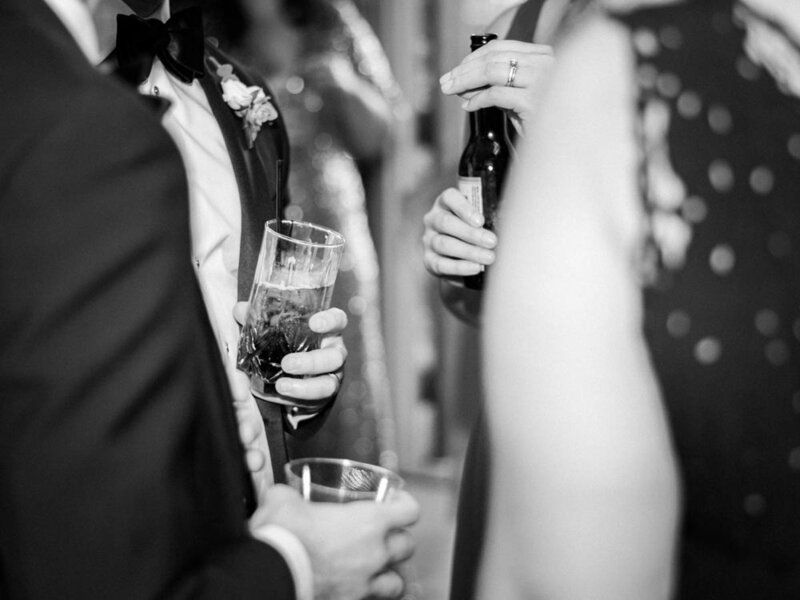 Your wedding day is all about marrying the one you love, so forget about the social norms and plan a wedding that is uniquely you. 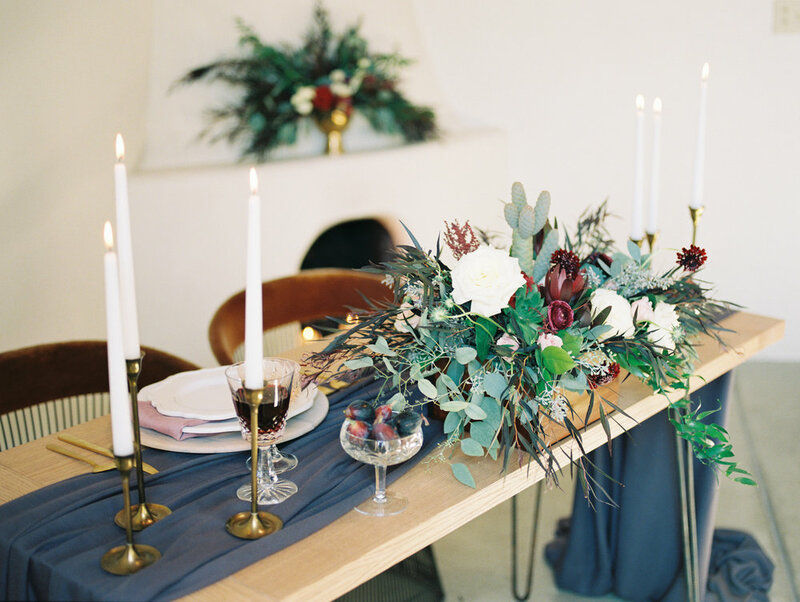 Our good friend Kelly of Le Champagne Projects, designed a romantic private dinner party for two, complete with candlelight, a twinkling fireplace and wild florals. 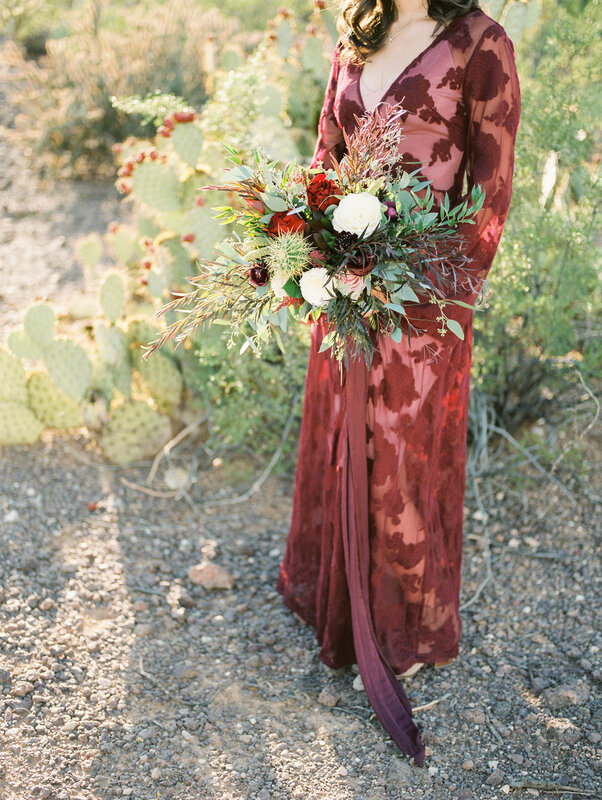 Burgundy, plum and lavender tones are woven throughout the scene and pair with the desert colors beautifully. 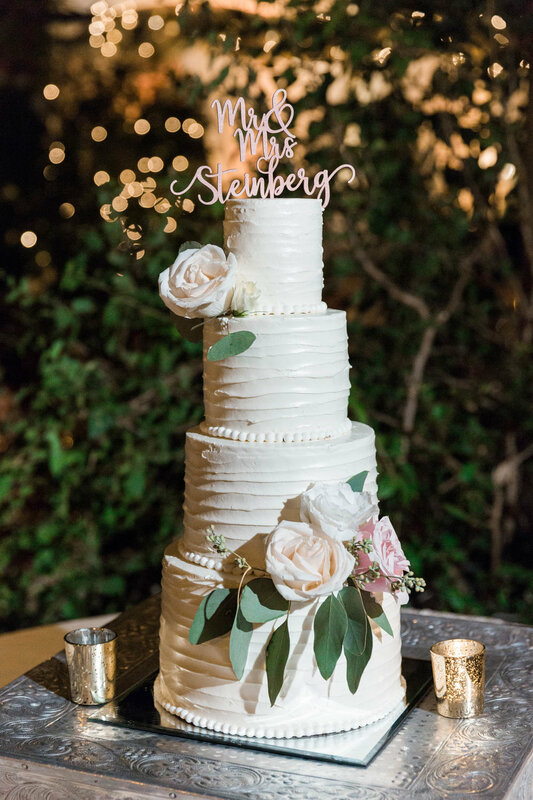 What boho desert bride wouldn't want that beautiful cake on their wedding day? 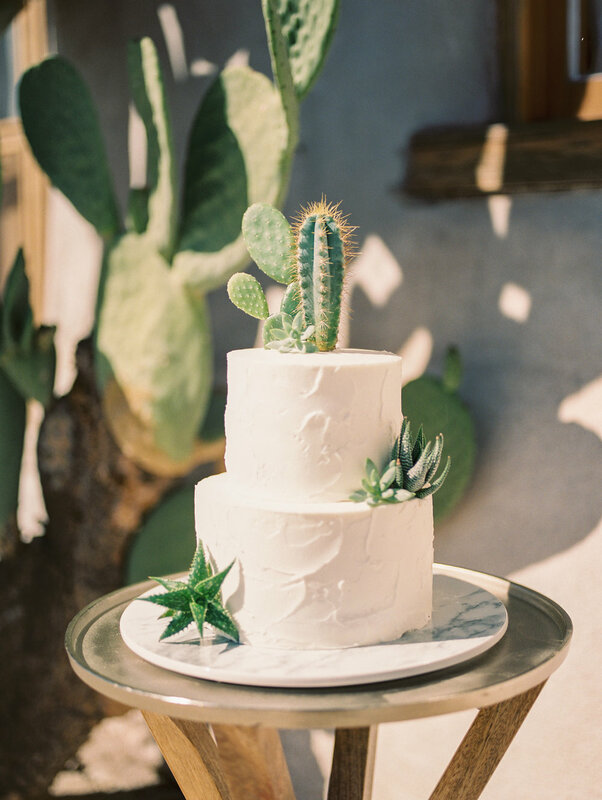 Alia of Crumbs Cake Boutique made this gorgeous white cake that we paired with an ever so fitting real cactus & succulent topper. 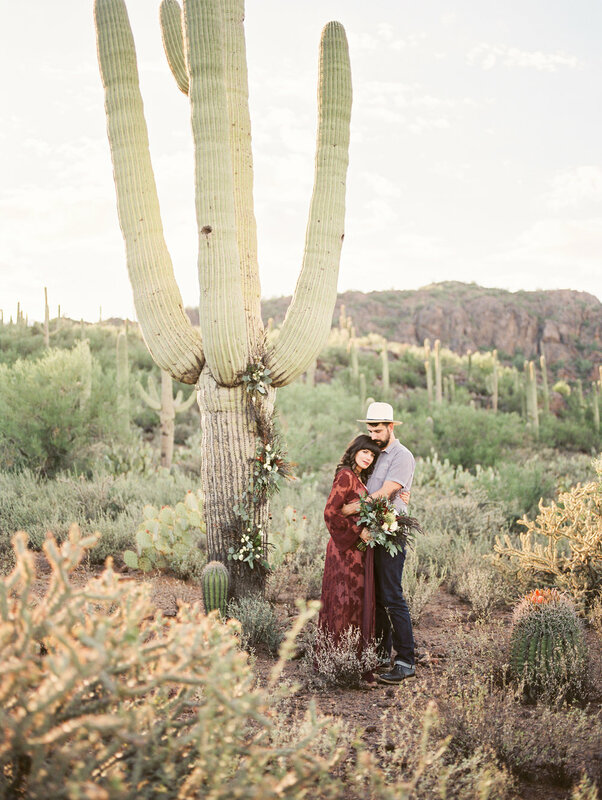 To present a unique, authentic feel we used real couple, Meredith & Caleb who are madly in love desert dwellers, with a fun, hip style all their own. 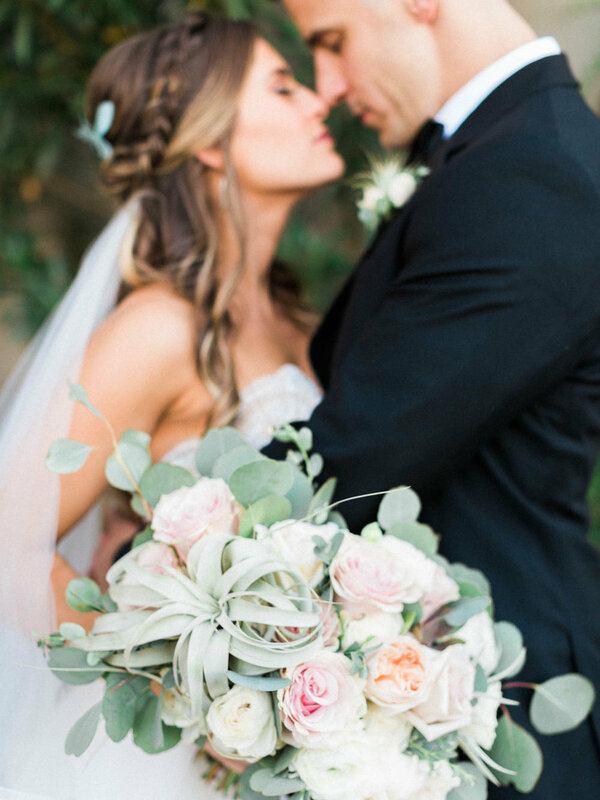 We love to see creative couples express themselves on their wedding day and hope this shoot will inspire more couples to think outside the box!